Most patio furniture comes with the option to add cushions, or in some cases, the cushions are included. Over time you need to replace worn and faded cushions to give your patio a fresh look. There are many inexpensive cushions on the market in a variety of shapes and sizes that you can choose from to give your patio a new spring or summer flair. 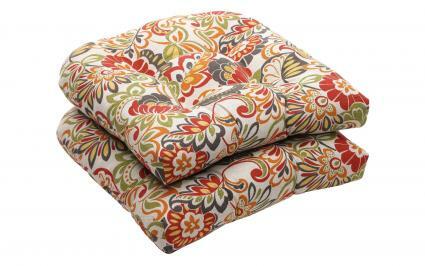 Meijer offers a wide selection of cushion styles and colors at low to moderate prices. 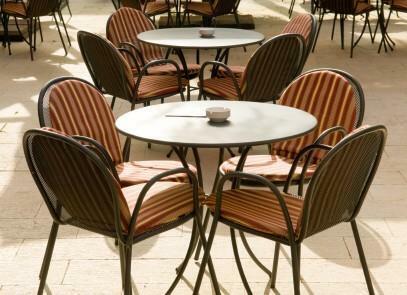 These outdoor patio chair cushions are mold, mildew and water resistant as well as UV-protected. You can choose from a simple seat cushion to a stylized scalloped full back and seat cushion. Some are reversible patterns to give you added value with two separate design looks. The challenge will be deciding on just one style. You can shop online and have your cushions delivered to your local Walmart (site to store) where you can then pick up your purchase. The 3-Piece Tufted Wicker Cushion Set by Jordan Manufacturing is tufted and includes two seat cushions and one settee cushion. Browse through some very reasonably priced patio cushions that offer you choices in sizes and fabrics. 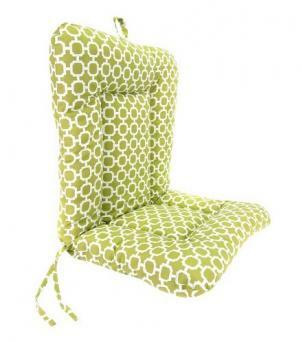 The Outdoor Euro Style Chair Cushion costs under $30 and has a back with the seat cushion. Threshold's™ Outdoor Round Back Seat Cushion has a rounded back to fit a patio chair with that shape. Amazon is a good place to find bargains and often features free shipping. If you're looking for cushions to fit outdoor wicker furniture, Amazon has some great choices. 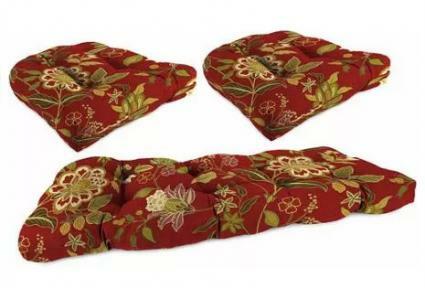 The Red Solid Seat Cushion by Pillow Perfect is another two pack of cushions that are less than $40. It doesn't need to be a challenge to find the right patio cushions for your outdoor furniture. You can have a great look for less money whenever you take advantage of sales and special coupons. When you find the look you want, do comparison shopping to ensure you get the best price online.